“Getting the knack of catching ourselves, of gently and compassionately catching ourselves, is the path of the warrior” (Pema Chodron). 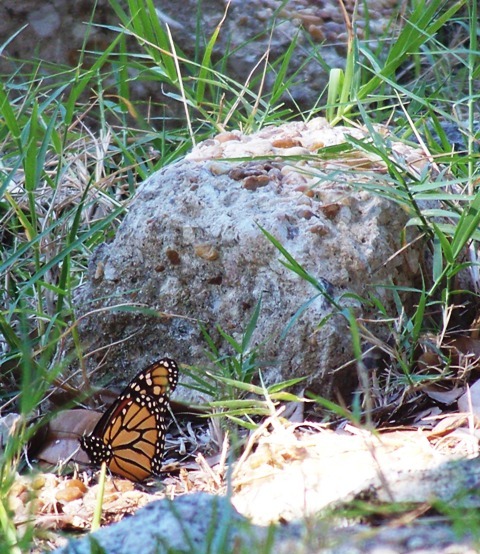 When it comes to warriors, I think of the monarch butterfly’s singular sense of solidarity. Somehow, each “knows” that a 2,500-mile migration is essential to its species survival. The monarch gives up one way of existence for another—each stage fraught with life-ending possibilities—for to fly is to know the freedom of walking on air, no matter how short or long the flight. It is easy to want wings without knowing how to get them. As we leave who we were for who we are—again and again–we must catch ourselves in gentle compassion. It is the stuff of survival. No new life emerges until an old one is transformed. Like the monarch, we must develop the knack.